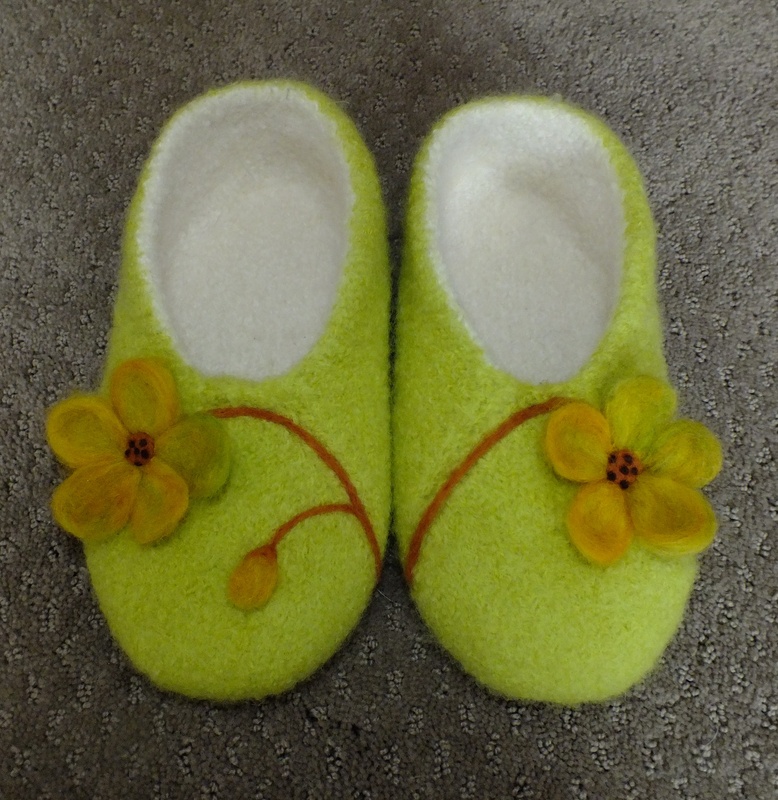 In September I went to a knitting machine seminar with Diana Sullivan as the demonstrator. It was excellent for beginners and advanced. 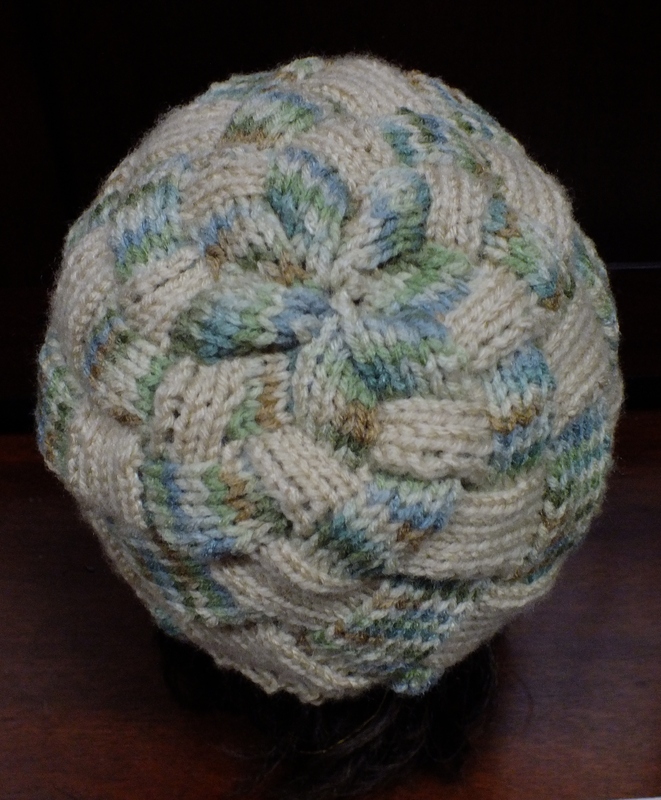 I have done entrelac before but never saw where I would use it. I loved her hat when I saw it. I stayed up late the other night just so I could finish it and see how it came out. I did this on the Bulky Brother but it can be done on any machine. This took me well into the hours of the night because there was an error in typing and I couldn’t figure it out. So I guessed and I was right. However, I did not take any of the scrap yarn off of the eight points in case it was wrong and I had to rip back to the previous rows. Well that left a lot of strings hanging. And, as the work was getting smaller near the top I thought I would end up with dropped stitches. I didn’t and I am happy with the hat. Now I did get the yarn on sale but I will still make another one to justify the cost. I used Red Heart Worsted Weight (4) Super Saver. The colors are Buff Chamois and Aspen print. 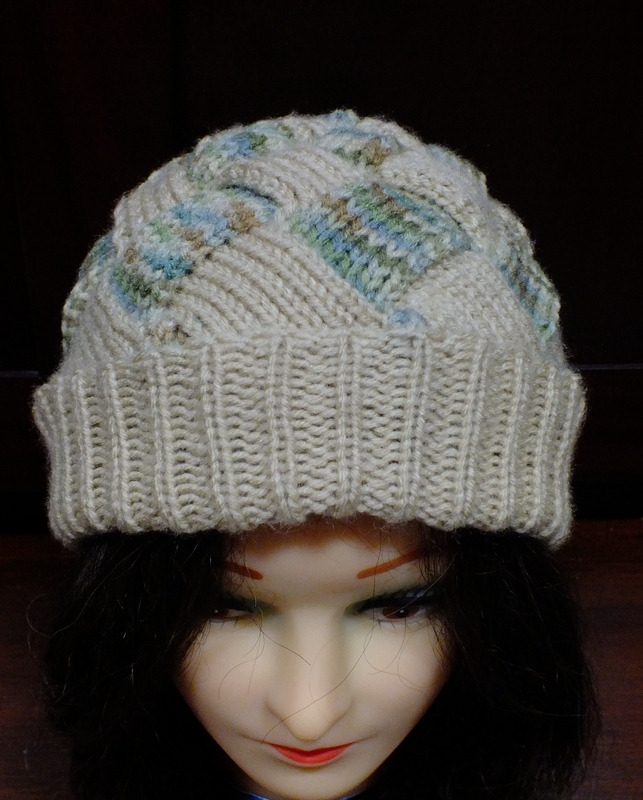 There is buff color in the variegated yarn . In the picture it does not look like it matches. It took almost 3 ounces of yarn for this hat so I will be able to make quite a few. 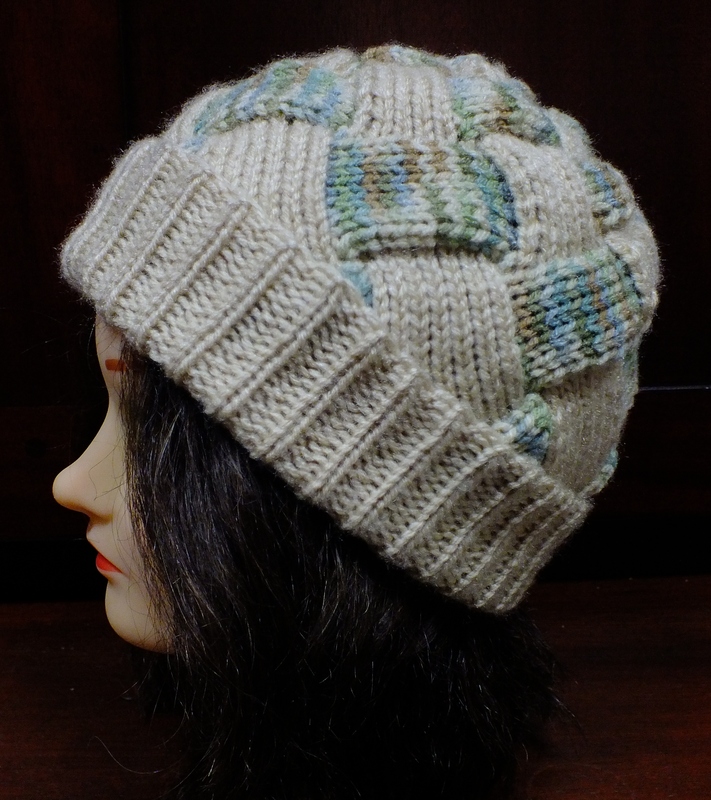 This is a great hat to make with left over yarns. I recommend that everyone try the entrelac at least once. I would strongly recommend different colors for the rows so you don’t get confused. This looks great on women with longer hair. Mine disappears under the hat and it does not look good. Of course, it is warm and would be great walking the dog at night in the dark. It fits snuggly on my head and I would probably add another block when I make it again. I’m back! I have been doing some serious cleaning in my house and have not done much knitting. Of course the temptation is strong to quit cleaning! Anyway, I saw this fringe on you tube with Diana Sullivan demonstrating the technique on a Silver Reed machine I believe. I tried it on the Brother machine and I put the needle on the far right in hold position and then put the yarn under the needle and knitted back. 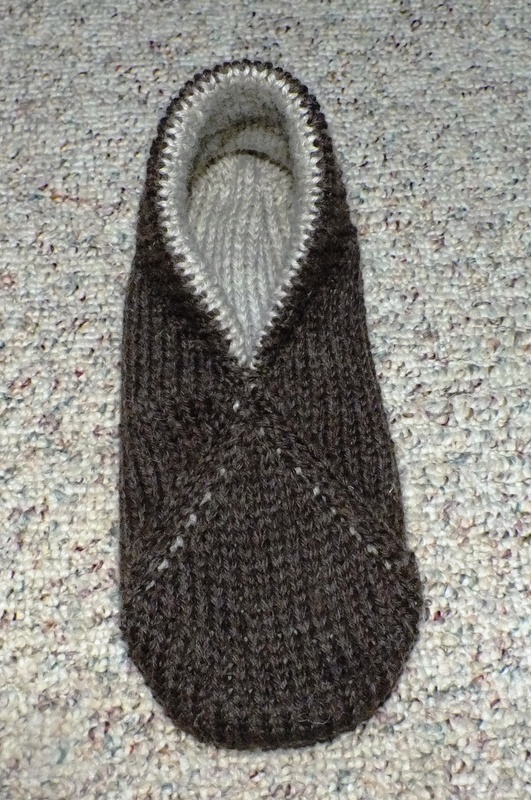 It worked quite well since the stitch to the far right was not knitting well since it was not e wrapped on. So then I thought, this can be done on the passap too. The only difference is that you have to work on the back bed of the passap and you have to open the beds up every four rows to twist the loops and lift the bars from the two rows below. This will make sense if you watch the video. 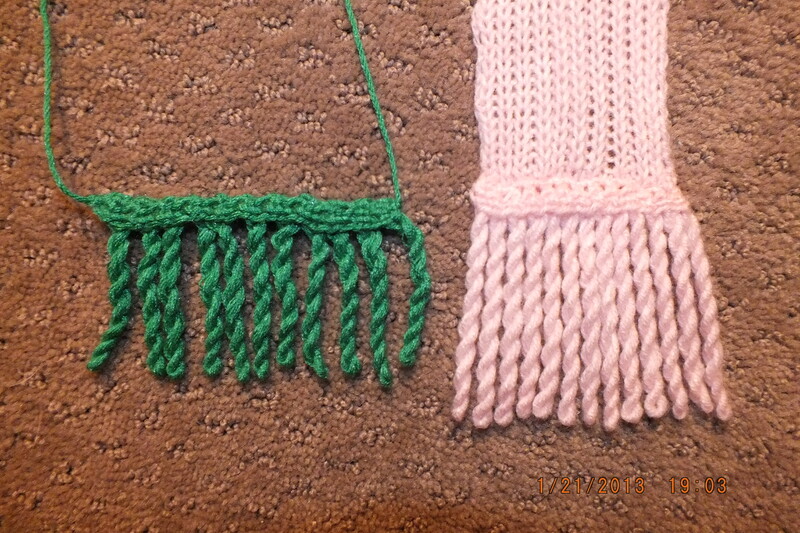 I also saw a video of a woman hand knitting a scarf and she stopped mid row and did one of these braids. She did a whole row of them and it was cute and unusual. 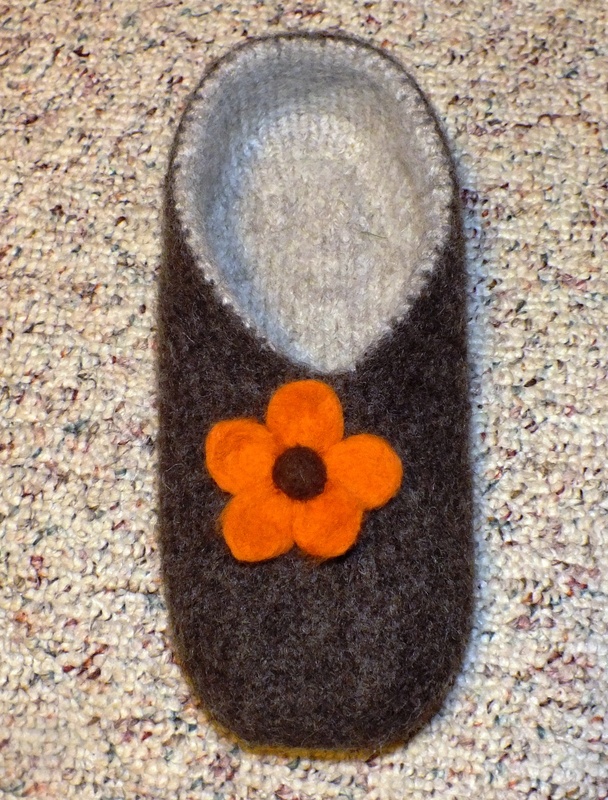 I think this fring is so cute and would look good on a scarf or as purse trim….hmmmm…. So….which one did I do on the Passap?